WHERE DO WE GO FROM HERE? explodes through what was and races toward what is to come. 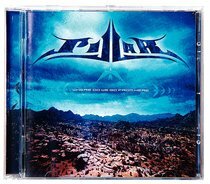 Pillar is launching their first studio recording in two years. An artistic sonic boom provides an unnerving twist to the melodic depth and raw power of the never-back-down lyrics. Features the hit single, 'Bring Me Down'. About "Where Do We Go From Here"
:WHERE DO WE GO FROM HERE? explodes through what was and races toward what is to come. Pillar is launching their first studio recording in two years. An artistic sonic boom provides an unnerving twist to the melodic depth and raw power of the never-back-down lyrics. Features the hit single, 'Bring Me Down'.